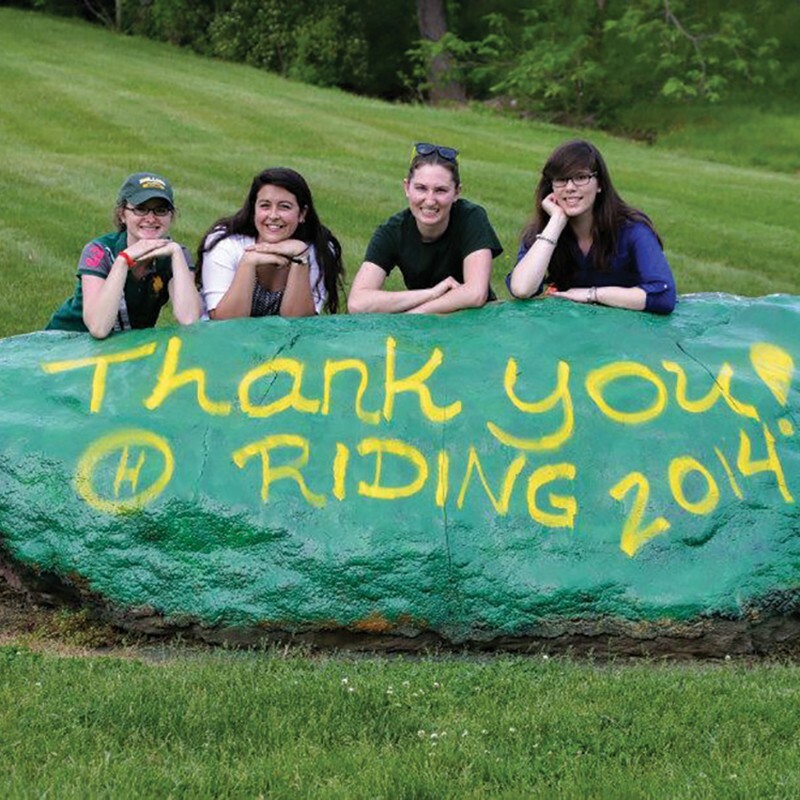 Hollins is one of the nation’s strongest equestrian schools. 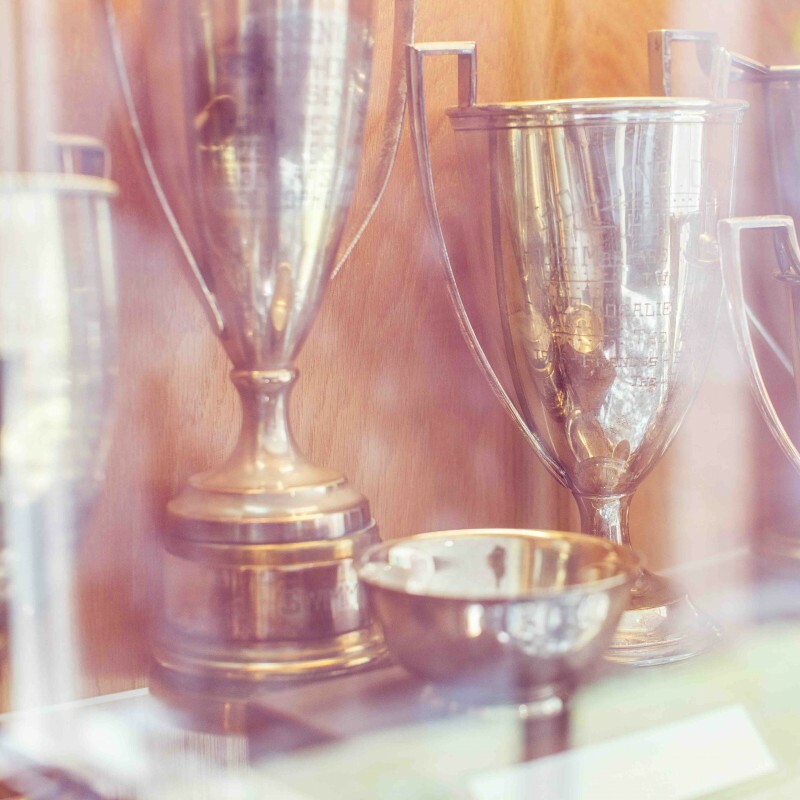 Although our powerhouse team has produced champion after champion, riding is never seen as separate from or more important than your entire college experience. Compete in the Old Dominion Athletic Conference (ODAC) and the Intercollegiate Horse Show Association (IHSA), riding regionally and nationally for team and individual points at various levels of experience. All fees are paid by the university. 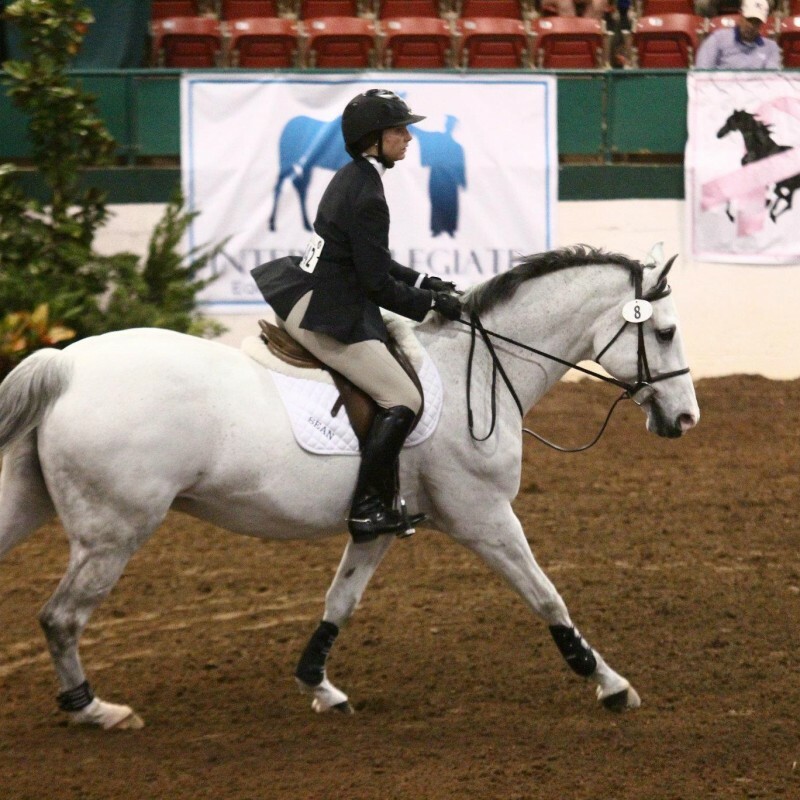 Compete outside the collegiate circle in local and national horse shows on horses owned by Hollins, or private horses. Work with area professionals and learn the inner workings of horse show management. Take classes suitable for beginner through advanced riders. 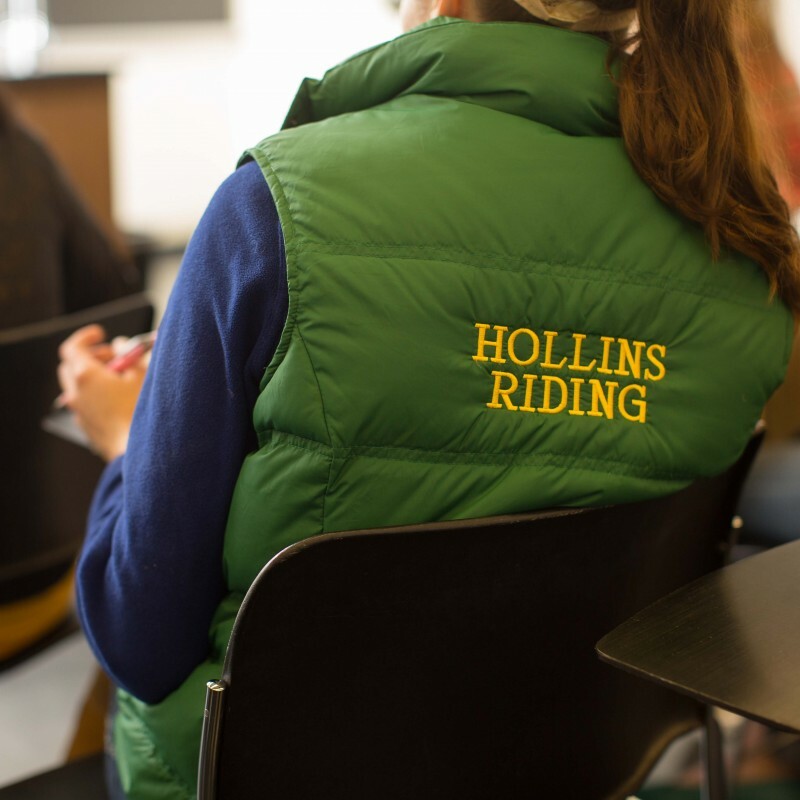 Every Hollins rider is enrolled in lessons, which count toward P.E. credit. Bring your own horse and board it at our state-of-the art facility. 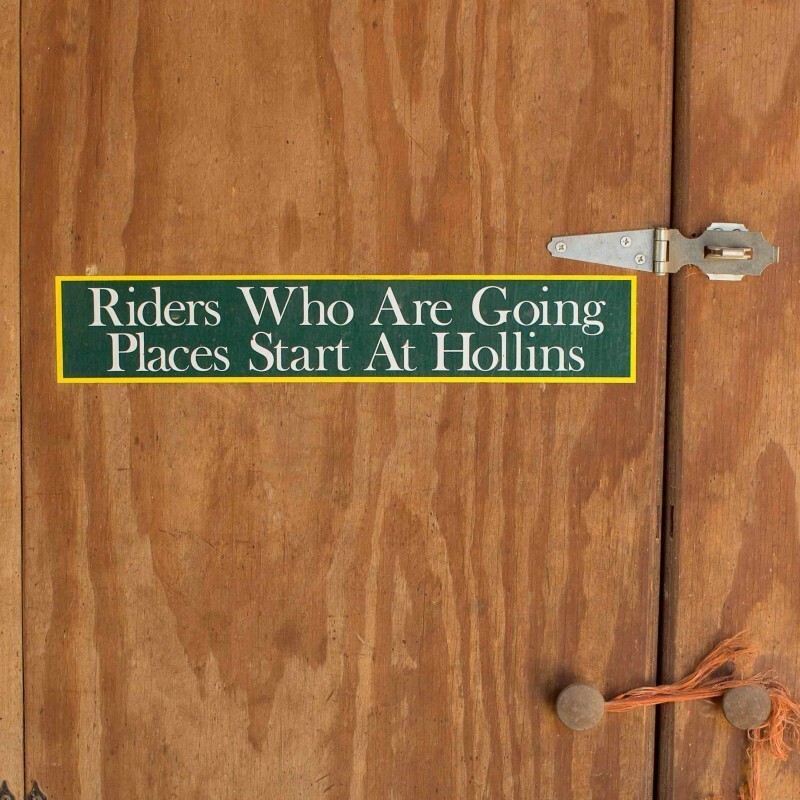 The Hollins Riding Club is open to all students who participate in the riding program, regardless of skill level. 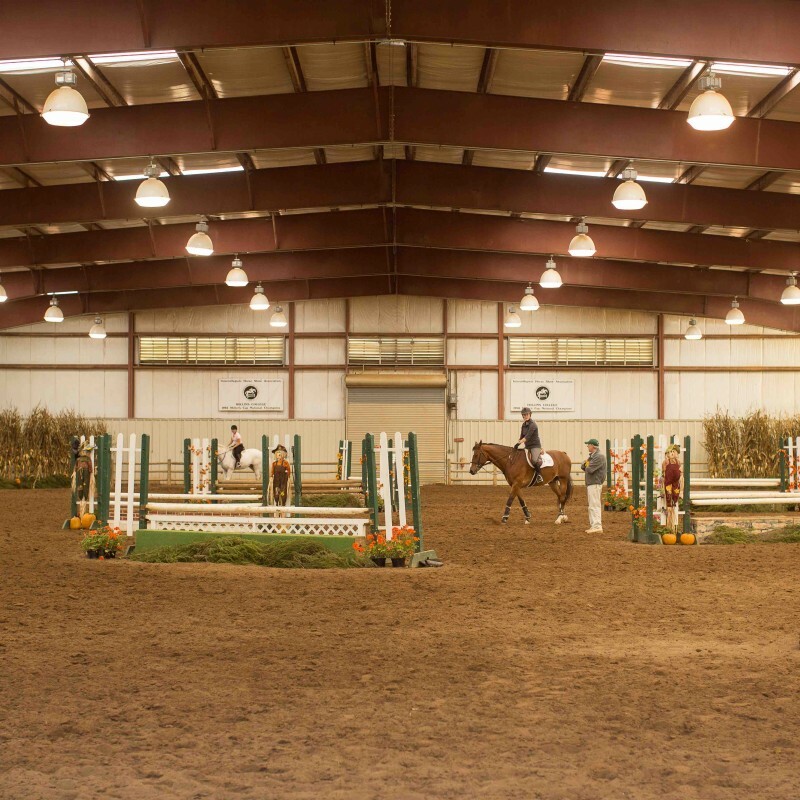 The club, which is completely run by students, serves as a support system for the riding program by helping organize IHSA shows held at Hollins and service-related activities. Hollins has an extraordinary group of school horses, all donated by alumnae and equestrian professionals who know of the school’s excellent care and winning reputation. Among the horses are legends, many having shown at the top shows in the nation, such as WEF, Harrisburg, WIHS, and Devon.